$4,359.99 each List: $8,066.00, You Save: $3,706.01! 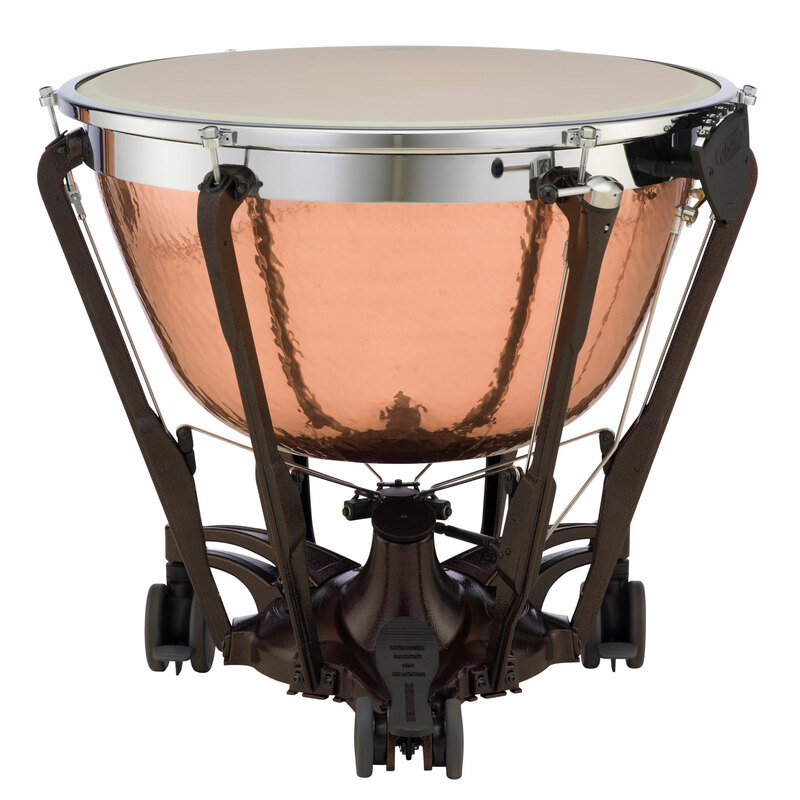 The 32" Adams Professional Generation II Hammered Cambered Copper Timpani brings a professional-level sound to school music programs and budget-minded timpanists. Made of resonant, dark copper, the cambered bowl has a hyperbolic shape that creates a darker tone than a parabolic bowl, with a more focused fundamental tone. 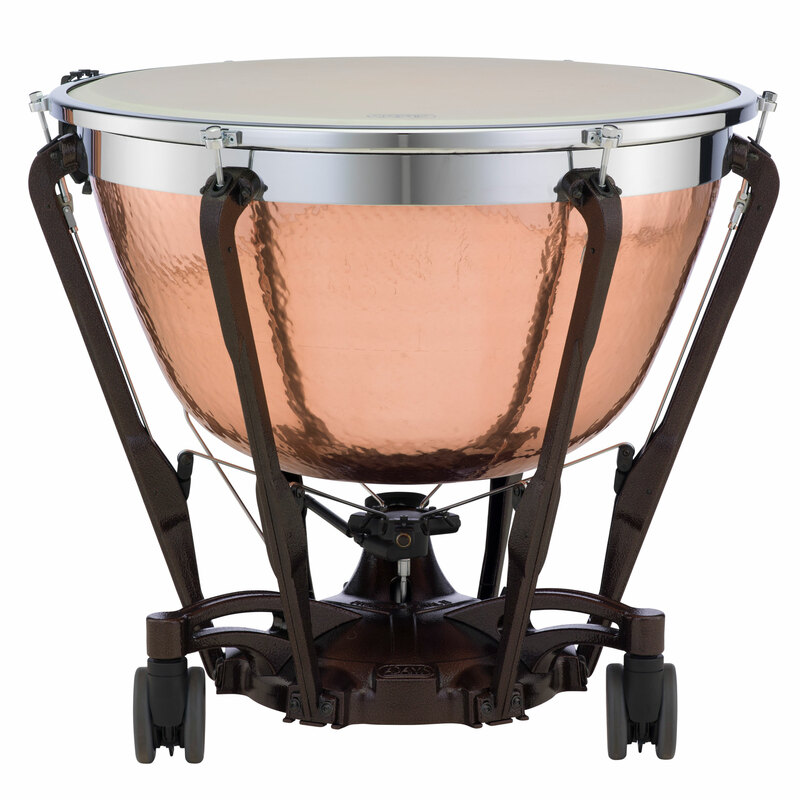 When you hit the drum, the hammered bowl causes the interior sound waves to bounce around inside much more actively than a smooth bowl, further enhancing the richness and depth of each note. This drum uses a balanced action pedal with an adjustable spring tension, giving you a smooth pedal feel and a tuning range beyond normal parameters. Tuning gauges make it far easier to tell what note will sound when you hit the drum - as long as you set them correctly before you play! The bowl itself is suspended from a single-flanged chrome-plated steel ring that is supported by the thick struts. This particular design provides you with a huge amount of power and a very long amount of sustain. The balanced action mechanism on this drum is strong enough to handle a real calf head, for timpanists who crave the richness and focus that synthetic heads have a tough time reproducing.